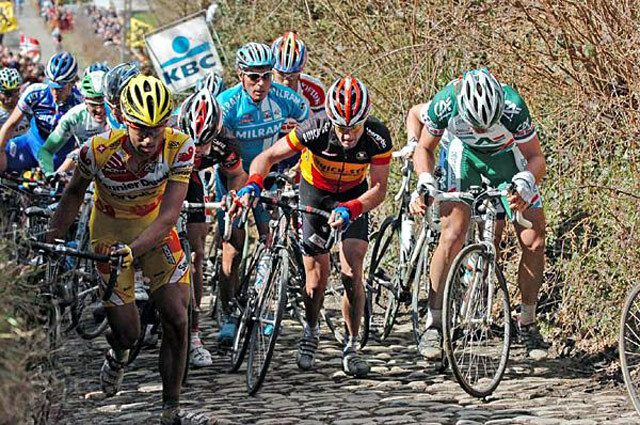 The season is in her prime with the classic races.The Tour of Flanders has shown us some interesting crashes and amazing skills from the riders.One of those skills, which we can learn a lesson,it is the mental strength can go beyond limits over the human being threshold. Some riders crashed various times, also badly hurt themselves, but they stood up like mattress spring to jump back on the saddle. The flow of the race was smooth like nothing has happened. This was due from the riders being so strong mentally. We are lucky that every weekend in April, there will be astonishing single stage races.Those races are held in the beautiful country side of Belgium and France. Therefore make sure you find some time free during those days to follow those races on Eurosport. Definitely you will not be disappointed,entertainment is aimed to be high. Watch these races, to admire those riders getting SaddleDrunk. They are and they will be even more "Intoxicated with the Freedom of Cycling".